No images of Green Valley Solar Installations. The installation and process of installing our system has been seamless, and Mike has been fantastic at communicating and providing advice and support before, during, and after the installation of our system. His assistance in dealing with our provider and additional paperwork was also greatly appreciated. Of the 3 installers you gave me, only 2 contacted me. The first company were nice enough, a little pushy but okay until I questioned the warranty and quality of the panels and Inverter they were quoting on, then I didn't hear from them again. Mike Phyland from Green Valley Solar was so nice, and was happy for me to do my homework on the panels and inverters. He was honest, friendly and certainly knows his stuff. Mike was a bit slow in responding initially but is clearly very busy because he is very good. He was very accommodating during installation, was timely and actually over delivered on what was originally quoted. We dealt with Mike throughout the whole process and he was great. It proved to be very helpful to have an electrician quoting rather than a sales rep. Mike could accurately assess our meter, fuses and wiring and include costs for any extra work required in the quote. Whereas the quote we got from another company advised in the fine print that meter wiring mods, etc. could be an extra unspecified amount. Mike proved to be cooperative and helpful as I changed my mind regarding the size of system multiple times during the quotation fase. Green Valley Solar were a great company to work with. They were very friendly & very helpful in tailoring a system to suit our needs. We ended up getting 6.2kw of Jinko panels (split North / West) and a 5kw Fronius Inverter. Installation was very smooth, they were done in less than a day. Paul sent through a quote with various options, he followed up with a call, then we arranged a visit to our home. I got 2 other quotes, which were competitive, but Paul was spot on and very informative. I took a few weeks to do some homework & after letting Paul know they were successful, the install date was set for 3 weeks later. Paul & team turned up on time and had the system installed by 3. Paul Johnson provided excellent data with the quote. We also had a long discussion about the system and its advantages. Installation was on time and went very smoothly. So far (installed 23.11.17) all going well. Paul and the Team did a perfect installation zero concerns about the install . he took the time to show us how to use the Fronius website and gave us some tips on saving power I.E setting the spa on timer to minimise power usage from the grid. He took a lot of time to explain a lot of questions I asked with zero sales pitch which was refreshing. Based on his opinion we have overclocked the panels to maximise the benefits of the system. He has done everything he said he would do now just waiting on our power supply company to do their thing. Paul at Green Valley Solar was very prepared to answer any questions and to help separate the fact from the fiction being peddled by many operators. He is passionate about what he does, and is very keen to ensure his customers understand what they are purchasing, and will be satisfied with the end product. He also provided many valuable links to reputable sites that allowed me to confirm what was being said. This made making the decision to run with him much easier. 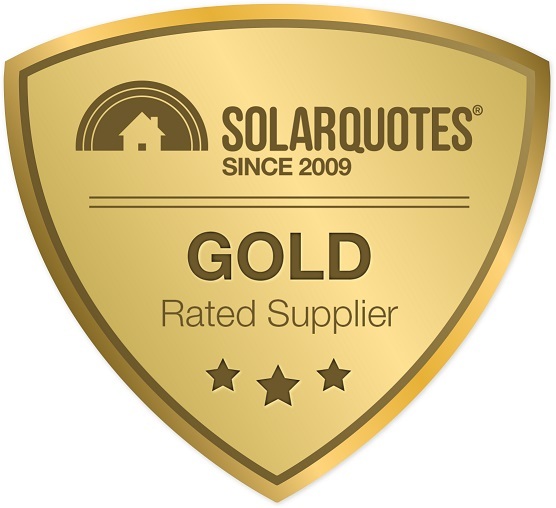 After suffering through high pressure salespeople from other companies I found the solarquotes web site and was pleasantly surprised by the no nonsense approach from the installers provided by Finn. Paul from Green Valley visited my home and explained what he thought would be the best solution for me and left me with a few options to think about. I did a bit more research and decided to proceed with them. The team of Paul, Mark and Aaron were great and the installation was hassle free and the system passed inspection with no issues. I have real time monitoring and am impressed with the output from the system. The Green Valley representative called same day as my inquiry and spent some time explaining what components he used and the reasons. He lives locally and was able to come next day to look at the shed for the solar panels and explained how the system would need to be installed. Technically he was able to answer all the aspects that I was interested in and provided data sheets for the panels, inverter and mounting. He was able to provide a quotation that day that was within the range of my expectations. He also provide links to videos of solar systems that he had repaired and the reasons for the failures which were mainly related to the quality of the installation work. He was also able to show photographs of some of his installations and the performance results. He gave a date of about two weeks ahead that he said he could do the install and he completed that on the day promised. He then went through some of the system details re cut-off switches etc and system performance monitoring.